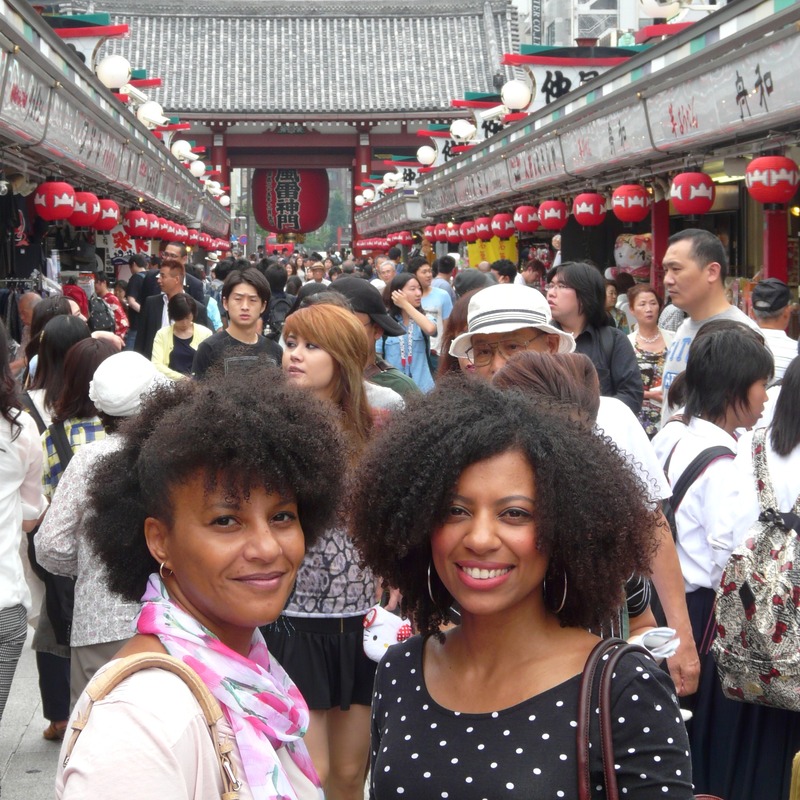 Natural sisters in Tokyo, and a huge thank you! Just in case you’ve been wondering where I’ve been the last week, I’ve decided to share a personal photo, as I was in fact spending time with my sister who came to visit me all the way from Johannesburg! We spent a lovely week seeing the sights of Tokyo, eating strange food, catching up over copious bottles of wine and talking natural hair, of course. I plan to be back with more regular updates, but I also wanted to say a huge thank you to everyone for checking back to my site so regularly. It’s much appreciated and makes me realise that people are interested in what I have to say after all, so thanks so much again.